Kevin's Mobility News Weekly is an online newsletter made up of the most interesting news and articles related to enterprise mobility that I run across each week. I am specifically targeting information that reflects market numbers and trends. Microsoft Corp's resident visionary and departing software chief, Ray Ozzie, has urged the company to move on from its Windows and Office roots and imagine a "post-PC world" of simple, global Web devices. Welcome to Kevin's M2M News Weekly, an online newsletter that consists of the most interesting news and articles related to M2M (machine to machine) and embedded mobile devices that I read each week. I aggregate the information, include the original links and add a synopsis of each article. I also search for the latest market numbers such as market size, growth and trends in and around the M2M market. A new smartphone app aims to bring a little peace of mind to parents this Halloween. This yearly ritual can also be a source of anxiety for parents as they let older kids traverse the dusky neighborhoods on their own. Retailers are hitting up consumers the way they are most likely to pay attention: with that ringing, vibrating gadget that's always close by. For about a month my Facebook wall was invaded by friends involved in raising money for their schools. It seems Kohls' retail stores were running a program that would award a few schools with $500,000 each toward projects if their schools were able to get the most people to visit Kohl's website and "check in." I most often browse Facebook from my iPhone or iPad. By simply clicking on the Facebook link I would be sent to Kohl's website and encouraged to browse. The browsing, however, was for a good cause. The students, parents, families and friends all encouraged their networks of contacts to visit Kohls website and browse. Although it got kind of old after receiving the 133rd Facebook message reminding me to visit Kohl's website to benefit the school, it was effective in getting thousands to visit. I found the approach and program interesting. Most significant mobile applications are integrated with a powerful database application. At the SAP TechEd conference last week SAP demonstrated an iPad business solution that considered the weather forecast in various regions as indicators of sales. At TecEd I also met with Ed Krufka, EVP of Solution Services at Smartsoft Mobile Solutions. He shared some of the complexity of applications he has been working on in the mobile retailing space. These mobile applications are powered by sophisticated business intelligence solutions that are used to help sell more products to retail customers. They use knowledge of the customer's history, buying patterns, the weather, locations etc., to change and customize the content on mobile applications. There is a whole category of mobile applications that is easy to overlook. It is the mobile data collection category. Many of these solutions are project specific. That means a large utility, contractor or government agency needs to collect data on mobile devices in the field for a project, but there is no existing databases to store this data and/or to create reports on it. When I was the CEO of a mobile software company I was surprised by how much database work my team ended up doing. We were a mobile applications company, but since there were no existing backend database applications to store the data, we ended up developing those as well. Once the database was developed, our customers would often want browser access and reports. Good development work, but it could quickly divert your focus away from mobility. Fellow SAP Mentor John Appleby published a terrific and well thought out article summarizing his views on the current state of SAP enterprise mobility. He works as a technical consultant in the UK for Bluefin Solutions Ltd., so has a much more technical view than I can provide. I recommend reading it. I do have a question that has been in the back of my mind this week. If mobility is so important to SAP, where were all their mobility executives at SAP TechEd? Where was John Chen, Bob Stutz, Kevin Nix, etc, which are the folks responsible for SAP enterprise mobility? There were over 5,000 attendees. My session on the Future of Enterprise Mobility had over 200 registrants. It seems in hindsight, that SAP should have brought the big boys of mobility to the show. I loved the SAP Prove application because of the GUI. It was an image of a desk with a crumpled piece of paper on it that had an expense request written on it. Next to it were two rubber stamps. One that said Approved, the other Rejected. By tapping one or the other it would stamp the paper. I loved it. I kept stamping all of them with Reject, Reject, Reject. I could do that all day. What power! At SAP TechEd 2010 this week, I learned about a very interesting mobility project. A large manufacturer is so concerned about the security of their data, that they have special requirements that all components of computers and servers be cleaned and verified as clean and secure before they are assembled. All steps in the server manufacturing process are audited and verified as clean. This manufacturer is concerned that a worm, or other malicious bug can be introduced to the system during the installation of software, or the manufacturing of memory or hard drives. Wow, I have just not thought this issue through. They point to the example of the Iranian Nuclear plant that was infected by a worm that was introduced by someone bringing in a flash drive to the secure environment. When SAP announced they were going to acquire Sybase, the SAP enterprise mobility market paused. Now it is moving again and SAP's mobility partners are aligning with SAP's mobility strategy and announcing support for the Sybase Unwired Platform as this announcement today demonstrates - ClickSoftware Partners With Sybase to Deliver Best-in-Class Mobility for the Service Sector. Wednesday was another long and interesting day at TechEd. It started with a 7:00 a.m. breakfast with SAP's Premier Customer Network (largest worldwide customers) where Sybase's Sam Lakkundi and Senthil Krishnapillai briefed the attendees on the Sybase Unwired Platform. For the first time, I saw a product roadmap slide in the presentation from Sybase. Sybase has always been hesitant to share the product roadmap in the past. I am not sure why. SAP likes to say that 70 percent of the world's GNP runs through SAP systems. With those numbers, it seems they have some responsibility to ensure reliable roadmaps are defined and published so the rest of their partner ecosystem and customer base can plan and design accordingly. Sybase - thank you for showing us that roadmap slide! Now if I can only get my hands on it. More shoppers flocked to Amazon’s website during the third quarter, helping the online retailer's net income climb 16 percent and easily beat analyst expectations. 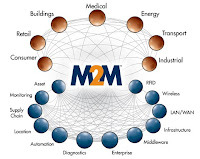 Infonetics Research predicts that the number of connections for embedded M2M applications will jump to 428 million by 2014, from 87 million in 2009. Companies like Kore Telematics have been working with medical device makers to embed wireless connectivity into devices to create feedback loops, remote monitoring mechanisms and more. 4G chipmaker Sequans unveiled its latest Mobile WiMAX solution, the SQN1280, an all-in-one WiMAX system-in-package for makers of handsets, tablets, USB sticks, portable hotspots, M2M modules, and a variety of consumer electronics devices. A leading provider of vehicle fleet location based services and telematics technology, WebTech Wireless Inc., has installed five additional NextBus LED signs, providing predictive bus arrival information. Why isn't the embedded mobile market growing gangbusters? Although more and more devices are now being equipped with mobile connectivity, this decade old market is still small beer in comparison to the conventional mobile handset market. By harnessing the resources of MapMechanics’ TruckStops VRS routing and scheduling optimization system, work wear rental and cleaning specialist Fenland has achieved major efficiency gains in its collection and delivery system – reducing fleet strength by around 15 per cent. GE Capital Fleet Services has announced a new, three year agreement with a national laundry services provider to use GE's Monitor and Intelligent Ops telematics solutions, with a goal of significantly reducing Web Service Company's operating costs. The FieldLogix Green Fleet Management System uses telematics technology and GPS fleet tracking data to produce several Green Reports to help fleet managers to cut costs and reduce their carbon footprint. Mobile computing places intelligence at the fingertips of first responders, enhances mission critical operations, and improves safety; but consumer products represent an expensive false economy when it comes to meeting the demands of public safety agencies. Australian scientists are preparing to use data from a $22 million array of high tech equipment to help them probe deeper into the nation’s coastal oceans. AirStrip Technologies has developed one of a kind remote patient monitoring applications that deliver real time vital waveform and other critical patient data directly from hospital monitoring systems to mobile devices to enable healthcare providers to continually monitor vital signs from virtually wherever they are. “There exists a mostly untapped opportunity around M2M, smart grid solutions, and especially mobile consumer electronics. In addition, there are opportunities for existing companies and newer entrants to compete around USB modems and a wide range of mobile computing devices as key WiMAX service providers increase their network coverage." Digi International has introduced the Digi m130, an embedded module that allows OEMs to enable their products with GSM/GPRS, GPS and ORBCOMM satellite connectivity in a single solution. M2M Communications, an Idaho based tech company, has been named one of the most innovative providers of M2M communication technology. Who is Paying for Mobile Applications Today? Also available are Kevin’s Mobile Retailing News Weekly and Kevin’s Mobility News Weekly. ClickContact enables service organizations to put the management of the service experience into the hands of their customers by providing self-service appointment booking and updating over the Internet, including automatic customer notifications, and the option for a post-service survey. ClickContact allows a customer to schedule a service call for themselves, without the help of any of the organization's customer support staff. ClickContact's functionality is now available in an application frame for inclusion on a service company's Facebook page. This means their customers can schedule appointments, change appointments, and receive appointment updates all on Facebook. Service companies will not be required to create their own websites in order to provide this functionality. The Facebook application enables the service organization to send customers automatic updates via email, text and voice message, etc., including confirmations, updates and estimated arrival time of the service resource to the service location. This can all be received on the customer's mobile device. Changes that the customer makes to their schedule on Facebook will then be reflected on the mobile applications of the service technicians via ClickSoftware's software for the service sector. "The most successful service businesses tightly link the human experience with the social web," said Simon Morris, of ClickSoftware. This is a very interesting model. It is one of the first examples I have seen of an enterprise mobility company integrating popular social networking sites into enterprise applications. If you know of other enterprise applications that are integrated with popular social networking sites please share them with us. Vishal Sikka spoke all about enterprise mobility during his 8:00 a.m. keynote. Yes, you read that right, an 8:00 a.m. keynote. I interviewed Willie Jow of Sybase today about all kinds of Sybase mobility related subjects. I will be publishing his interview next week. I interviewed Oliver Bussmann, SAP's CIO on enterprise mobility. I posted the video interview here. I interviewed Adobe's Matthias Zeller on Adobe's enterprise mobility work. I posted the video interview here. I lead an Expert Networking session on SAP enterprise mobility and spoke to many companies that are implementing mobile proof-of-concepts. We had some fascinating discussing about real life experiences. I will certainly blog on these discussions. I spoke with Sybase's mobility guru, Senthil Krishnapillai. We discussed the Sybase solution "mobile workflow" an under-appreciated, but powerful application. I had a long discussion with fellow SAP Mentor John Appleby on his experiences with enterprise mobility in the UK. I spoke at length about mobile strategy with Dr. Ahmend El Adl of PWC. I spoke with Vivido Labs' mobility guru Steve Goldman and discussed his most recent mobility projects. I am exhausted, but have two more meetings this evening. For the second consecutive year, the American Bankers Association has found through their annual survey that many Americans prefer online banking than any other method in dealing with their banks. In Jonathan Bloom's new book American Wasteland he reports that the US produces about 591 billion pounds of food each year of which about 50 percent goes to waste somewhere along the food supply chain. This includes unused restaurant food, food in the field and vegetables and fruits in the grocery store as examples. Grocery stores throw away an estimated 30 million pounds of food each day. I was in Starbucks with my family this evening. The only thing unusual about this was that it was the evening. As I stood in line waiting to order I noticed nine New York Times that remained in the rack. No one is going to buy a Sunday edition on Monday, so these were retail products that were also perishable. This reminded me of a project that I was involved in a few years ago with a newspaper company. This is Part 2 in this series. Last week I read an announcement from SAP mobility partner ClickSoftware, the company that developed the SAP Workforce Scheduling and Optimization solution, concerning their new Facebook integration. Here is an excerpt, "ClickSoftware announces tight integration between Facebook and its ClickContact self-service customer portal - helping service businesses deliver a high-value customer relationship online . . . customers can book and change service appointments directly on a service organization's Facebook page, receive reminders and notifications on the expected arrival time of the service engineer to minimize wait times - and reduce the chance that the service engineer will not find the customer at home." You can read the full press release here. ClickSoftware's solutions also come with mobile enterprise applications that are integrated with them. In P.W. 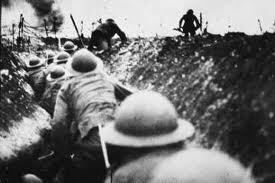 Singer's New York Bestseller, Wired for War, he writes, "World War I proved to be an odd, tragic mix of outmoded generalship combined with deadly new technologies." The generals were simply not able to comprehend how new technologies were fundamentally changing warfare and the ways battles would be fought and won. They continued to cling to the traditional methods and models passed down over generations. I know there are challenges today with executives and managers struggling to understand how to use new mobile technologies and social networking in their organizations. This is the link to the recorded SAP Enterprise Mobility webinar that was conducted about a week ago. The now and future of enterprise mobility. Trends - How did we get here? What are some strategy and organizational considerations to ensure success? What is the role of a robust mobility platform? Implementation challenges with enterprise mobility and best practices. How will the new SAP/Sybase mobility product roadmap help you to implement your enterprise mobility strategy? I had the opportunity this week to spend time with the IT management team of a large consumer products company. I learned a great deal about how large companies approach new and potentially disruptive technologies like enterprise mobility. I was intrigued that, at times, outdated reseller channels can prevent large manufacturers from making good strategic IT decisions. As we all know, mobility and the mobile web can give customers information directly from manufacturers. There is no barrier to this important information. The customers may also want to purchase more product from the manufacturer. This can cause immediate channel conflict. In a move that highlights the importance of customer relationship management on the go, SAP 's Sybase has introduced an application that makes the BlackBerry a mobile CRM tool. The location based services market is forecast to reach $21 billion by 2015. Location aware mobile applications can provide the potential for many businesses to reach mobile users at the right time and in the right place. What does this mean? It is 11:45 a.m. and you are thinking about lunch. If an email or text message arrives to your smartphone with a coupon for your favorite sandwich at the restaurant just a block from your office, there is a very good chance that you will eat there. I am very interested in mobile enterprise applications becoming smarter and more aware. Mobile applications should begin to understand our needs and start doing more things for us automatically. Every new feature in a mobile application should NOT mean there are more steps for us to do. Microsoft has just kicked off a $400 million market campaign for Windows Phone 7. I read this week that the theme of the marketing effort will be to emphasize that smartphones should be simpler. They should provide us easy access to the things we use the phone for the most. I agree. One of the examples I read about was having the digital camera function available via a button without requiring unlocking the phone, finding the camera application and launching it. Just let me take a quick picture. Geospatially aware: If I am arriving at a customer's location, the smartphone should recognize my GPS location and automatically query my CRM and provide me with the latest information about my customers' orders, customer service issues, payment schedules, order deliveries, etc. Don't make me ask for all of this information individually. Just send it to me so I am prepared. Business aware: The mobile application should know my role and responsibilities in the company. Based on my job function it should automatically provide me with relevant information that I need in order to do my job. It should check to see if there are any open customer service issues, when a customer meeting is on my calendar. Environmentally aware: Here are some examples weather, health, family schedule, travel plans, sitting, standing, exercising, heart rate, sugar level, body temperature, time of day. For the most part, these are simply data points. This data can be used to suggest and recommend things. Context aware: Is it the middle of a work day, or are you at your daughter's soccer game on the weekend, or traveling in Europe? Is it in the middle of the night? Are you in an important meeting with a customer, or celebrating an anniversary with a candlelight dinner. These all represent different contexts in which information may be desired or not. If it is about time for lunch, look for good lunch options within walking distance of your location. Search for lunch deals. Consider my preferences when searching. Mobile applications need to start recognizing the different contexts in our lives and make adjustments based upon these understandings. All of this information, with an increasing number of sensors on or in your smartphone, person and environment, integrated with business analytic applications and improved calendars should be developed to help us. You don't want annoying routine business calls when you are asleep in the middle of the night on a European vacation. Your smartphone should understand the context and make adjustments by automatically sending calls to voice mail. I noted the other day that ClickSoftware is integrating an increasing number of these "aware" features into the SAP Workforce Scheduling and Optimization solution for the service sector. For example, notifying customers that the service technician is arriving within a certain period of time based upon their GPS location and traffic conditions. Come see me at TechEd Las Vegas and let's brainstorm! Here is a video comment that I recorded last week and posted to the SAP Mentor channel on this subject. This is Part 2 of this intervew with Energy4U's Florian Ganz. You can read Part 1 here. Kevin: Can you tell us about some of your recent SAP enterprise mobility projects? We are working with one of the big utility companies in Germany. The project involves the power plant maintenance processes. The company is an existing SAP user and we are replacing their 1st generation mobility solution that has poor performance and was not able to carry all required offline data. The customer uses the SAP Plant Maintenance module. Energy4U is implementing Syclo's mobile solution and integrating it with SAP Plant Maintenance. The customer will use both laptops and rugged handheld computers (Psion Teklogix rugged devices including RFID). They will start with 20 mobile users and expand to 100. The key to winning this project was the ability to deliver a proof of concept within only two weeks. This project was sold by SAP's sales force and involved the solution SAP Workforce Scheduling and Optimization from ClickSoftware. This SAP user wanted to centralize the dispatch of hundreds of service technicians to increase efficiencies by optimizing routes and reducing travel times and expenses. The SAP sales team brought in ClickSoftware's solution and Energy4U, a Siemens business, to do the implementation. The project started in May and integration testing will start end of this month (October). The mobility component will quickly follow. The service technicians will use a combination of laptops mounted in their vehicles and PDAs. This SAP customer had a first generation mobile solution that suffered from poor synchronization performance and overall SAP integration problems. They came to Energy4U for a mobile solution that would work with SAP Plant Maintenance and could handle over 100,000 equipments and functional locations (SAP objects) in the asset management database on the PDA in an offline and online mode. The customer is using SAP Plant Maintenance and SAP Materials Management. They wanted a service technician dispatch system (they chose a solution developed by Energy4U) that worked with SAP. They needed a solution that could work both offline and online. The customer selected Motorola's ES400 ruggedized smartphone to use in the field. Besides these three projects, we are working with various other customers to ensure that their mobility efforts are successful. You need more information? Feel free to get in contact with Florian: SERVICES@energy4u.org. Florian and I have been attempting to schedule an interview for sometime now, but he is always on a train to Switzerland, Italy or going out to dinner with big shots in Munich. What a life! I am happy I was able to catch up and get his insights into the SAP enterprise mobility market. Florian worked at SAP AG in Germany from 2002 through 2008 and was involved in many early mobility projects with SAP. It was during this time that he got to know my good friend from PricewaterhouseCoopers, Dr. Ahmed El Adl. A reported 81 percent of young consumers around the world are "interested" or "very interested" in employing wireless handsets as a "wallet" linked to bank accounts and loyalty cards. This is Part 3 of this interview with Sybase's Sam Lakkundi. Kevin: How can SAP partners and SAP customers develop mobile solutions today when SAP and Sybase's road map is still a moving target? Sam: If I were to look into the crystal ball, what direction would I give? Use SUP as the target. It is the integration and middleware layer. Ask yourself, “How do I use and take advantage and add value to what SAP/Sybase are developing?” (See public statements from SAP/Sybase on their mobility road map). This is Part 2 of this interview with Sybase's Sam Lakkundi. Kevin: Historically, Sybase has not been known as a mobile application company. They didn’t want to compete with their OEM customer base. Bob Stutz is now tasked with developing mobile SAP applications in the new Mobile Application Business Unit. Why are they doing this? I had the pleasure to interview Sybase's Sam Lakkundi last week. Sam is an enterprise mobility architect and a “SWAT” team member at Sybase, an SAP company. He has 15 years experience at Sybase working directly with customers that employ a wide range of technologies including database, application server, and mobile engineering. For the past seven years, he has focused on architecting and implementing mobile solutions for customers around the globe. I am beginning to see more and more mobile applications that use photos and maps as GUIs (graphical user interfaces). In the world of mobile augmented reality, the photo can be the main menu of the mobile application. The image on the right is from an application called TouchInspect by Mobile Epiphany. The founder of Mobile Epiphany, Glenn Kletzky, has many years of in depth experience in the electronic games industry and takes a unique and graphically rich approach to many of the GUIs in his mobile data collection applications. This is a very interesting approach to GUIs. It is not just a text based menu system, but images that can quickly paint a thousand words. Glenn describes his GUI design as a finger-touch-based interface that is trainable within an hour. My good friend Puneet Suppal with SAP's Premier Customer Network wrote an interesting article over the weekend on SAP enterprise mobility. Here is an excerpt, "In June 2010, Information Week listed the top 10 reasons that will likely get CIOs fired this year. "Failure to embrace mobility" was the number 2 reason! In a recent survey done by Forrester it was found that about 48% of the organizations interviewed were going to invest in mobilizing applications in 2010, with another 37% keenly interested as well. Many of you have asked me for details on SAP's enterprise mobility roadmap. I will be publishing an interview with Sybase's Sam Lakkundi later this week on that subject, but first wanted to highlight what SAP has publicly stated already. Within the next nine months (Sapphire 2011), the companies will bring together technologies to deliver a leading mobile platform for business that is based on open standards, runs on all major mobile operating systems, and manages and supports all major device types. With this platform, customers and partners can build new mobile experiences on top of existing applications, such as SAP® Business Suite software. In addition, SAP will showcase mobile experiences for all products, including both SAP Business Suite and SAP® Business ByDesign™, similar to what is available for mobile sales for customer relationship management (CRM) today. Last week I wrote an article, Do SAP and Sybase Recognize What is Happening? to encourage SAP and Sybase to add resources to support the increasing demand for enterprise mobility within the SAP ecosystem. I think Jim Hagemann Snabe and Bill McDermott (SAP's co-CEOs) must have read my blog. At least that is what I tell myself. This week SAP and Sybase announced a reorganization around mobility. The stated purpose is to further support customers and facilitate the rapid adoption of enterprise mobility. According to Microsoft's annual proxy statement, CEO Steve Ballmer received $670,000 in bonus for the last financial year, half what he could have earned in rewards. This “Internet of Things” or M2M network adds another dimension to the existing notions of networks. It envisages an anytime, anywhere, anyone, anything network bringing about a complete ubiquity to computing. OK, I don't want to report this trend. I am all about convergence and combining more and better features into small pocket size devices called smartphones, but my journalistic side beckons. I have conducted quite a few interviews with leading minds in the enterprise mobility space (read the series here). In these interviews one of my favorite questions is, "What mobile device do you carry?" October is traditionally a very busy time for high tech companies, and this year there is no busier category than enterprise mobility. For that reason, I was especially pleased that Syclo's CEO Rich Padula made himself available for a brief interview last week. Kevin: Rich, what mobile device(s) do you carry? Rich: I carry a Blackberry, iPad, Netbook and iPod. I have a desktop in the office. I am excited to report that I will be conducting the SAP TechEd Live interview (see sample) with SAP CIO Oliver Bussman later this month at TechEd in Las Vegas. Oliver Bussman is involved in all the major mobility projects that are rolled out within the SAP organization. The iPads were configured with email access, access to a virtual private network (VPN), Citrix software to enable access to server-based applications and business intelligence tools via BusinessObjects. The company currently has 17,000 BlackBerrys rolled out across the organisation and Bussmann said that within 12 months, there will be as many iPads in use by SAP employees. If you have questions that you want me to ask Oliver, please comment below and I will add them to the list. What are Machines Talking About? 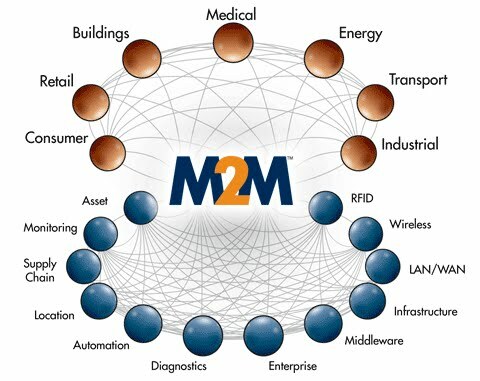 In the article M2M: Driving Expoential Growth in Connections, author Perry LaFarge writes, "The number of machines communicating with each other wirelessly will soon dwarf the number of people connected via mobile devices." What kind of machines are communicating with each other? Machines like Redbox movie kiosks communicating DVD inventories to iPhone users; tractors and other heavy equipment reporting their maintenance status to the central office; and all kinds of high value assets reporting their location, status and numerous other details monitored by remote sensors. Homes are also reporting minute by minute energy consumption to both the homeowner and the utility through smart meters and smart grids. The use cases are endless. In an article I read today on mobile marketing it said, "Consumers who own an Apple iPhone are more likely to shop online from their phones, than those consumers who owned phones based on Google Android or BlackBerry operating systems...BlackBerry is way behind the Android and iPhone." I read this in the Dallas Morning News online version today, "Last year, more than 60 million Americans were mobile Web users, up 33 percent from 2008, according to Nielsen. This holiday season, Nielsen predicts one-third of all mobile phones in use will be smartphones, up from 21 percent a year ago. I interviewed WorkLight's COO, Kurt Daniel this week. This was an interesting interview, as WorkLight is following a different strategy than most enterprise mobility vendors. They have developed a MEAP (mobile enterprise application platform) and a mobile SDK (software development kit), not for their own use, but rather for systems integrators and end customers to use to develop their own enterprise mobility solutions. They want to be a technology company, not a mobile application company. Discuss the challenges and opportunities around effectively managing the mobile workforce in your utility. With today's environmental, regulatory and economic pressures the issue of effectively managing a mobile workforce has never been more critical. Yet very few, if any, events focus on this important subject matter. The virtual summit will explore key aspects of workforce management; from managing a smart metering rollout and handling multi-stage and multi-day work and crew management. Hear from industry experts and utility organizations that have implemented workforce management systems to transform their business.